A few years ago, BugFan Marjie had a fantastic idea. She wanted to get people out on the trails of the natural areas here in Ozaukee County (Wisconsin). The plan—to staff different sites each year with interpreters, send people on their way with passports to be stamped at each destination, and finish the day with a big party at the Mother Ship—Forest Beach Migratory Preserve. The event—Treasures of Oz. Over the past five years, many thousands of people have made the acquaintance of county nature preserves that were not on their radar before. This year, Marjie asked the BugLady to be part of the team at the Cedarburg Environmental Study Area (CESA), a property owned by the excellent Ozaukee Washington Land Trust, which sponsors Treasures of Oz (find descriptions and trail maps of all their preserves on the website. The CESA site hosts some phenomenal, six-feet-wide ant mounds, and the ant story needed to be told. 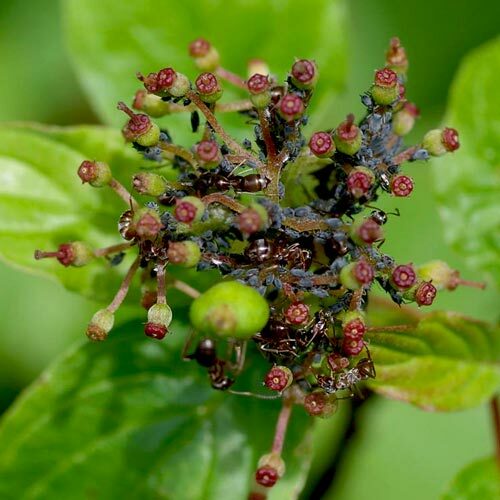 The BugLady was dubious—the general population, she has noticed, isn’t that inspired by bugs, and besides, due to a misspent youth, the BugLady is a tiny bit ant-averse. 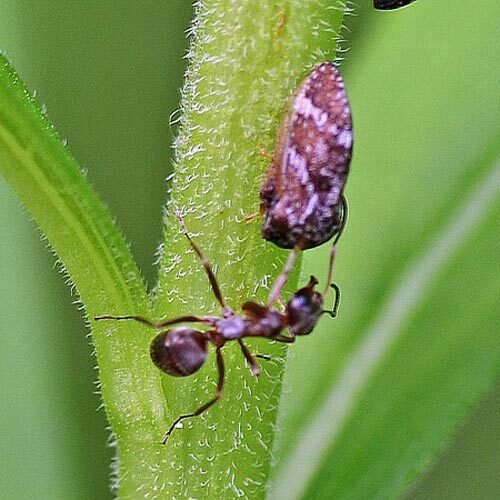 First off, what kind of ants are they? BugFan Tom rounded up an ant guy in Mississippi who, of course, requested some ants. The BugLady figured that she would place an old film canister (younger BugFans might have to Google film canister) on the top of a pretty active mound, and maybe some ants would climb in. What could go wrong? 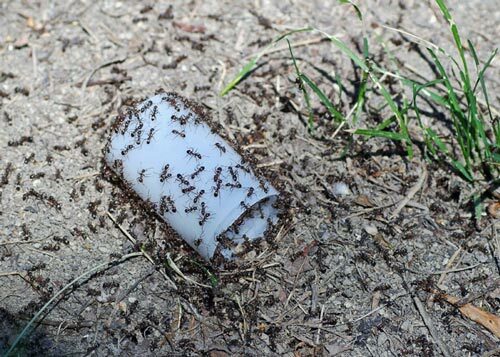 As soon as the canister landed on the mound, ants came pouring out, covering the top of the mound and covering the film canister, inside and out. Now what? The BugLady fished it off with a stick, managed to cap it, and rolled it around a bit to loosen the exterior ants. 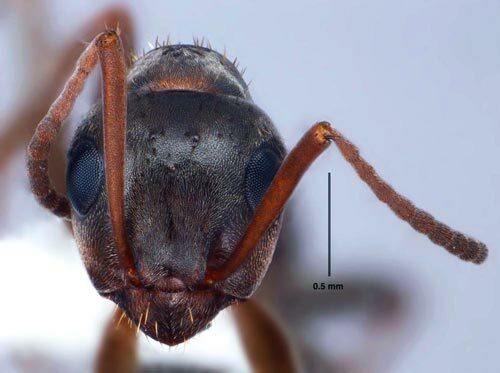 The ants were dispatched to Mississippi; the postal worker who asked if the parcel contained “anything liquid, fragile, perishable, etc.” didn’t ask specifically about ants. Joe, the ant guy, made short work of the ID—the ants are Formica montana, in the wood/thatch/field/mound ant family Formicidae. The genus Formica includes a bunch of mound-building ants that use different construction strategies in varying habitats. Besides mounds, they are famous for defending themselves by spraying formic acid and by biting (often using the “bite-first-then-spray-the-irritating-chemical-into-the-wound” strategy). 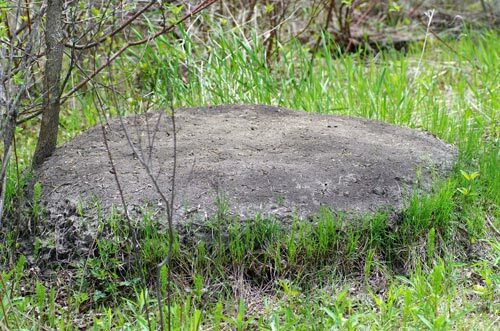 Mounds are formed when ants tunnel into the soil and bring particles to the surface to dispose of them; ants move more dirt than earthworms and are valuable soil mixers and turners. Young mounds are steep-sided and about 12 to 15 inches tall, and they often have vegetation on top. As the population increases, the ants build out because, in wetlands, they can’t build down. 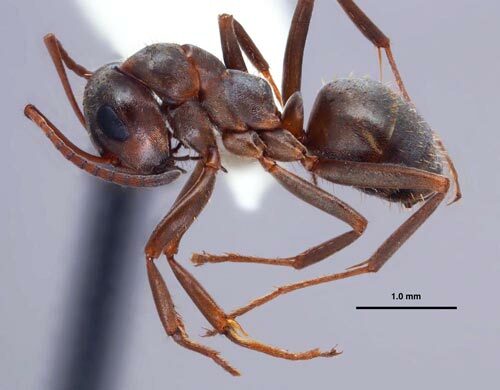 One source said that a large mound might have 6,000 ants in it, but the BugLady thinks that number is way low for some of the mega-mounds at CESA. The tops of PMA mounds may have fifty or more entrances, and the mounds themselves consist of a honeycomb of tunnels and chambers for food and young and for workers to rest in, and the tunnels also effect oxygen exchange. The average mound takes about six years to build and lasts for about 12 years, but some have been clocked as old as 30 years. A colony may get larger by “budding—forming a smaller colony nearby and then growing toward it, and PMAs may construct small, seasonal feeding mounds. Mounds are often found growing near red-osier dogwood shrubs; this sun-loving shrub of early succession tolerates the same kinds of soil as the ants—soggy, but not permanently soggy. The dogwood is also a portent of future shade trees—bad news for the ants. The mounds are solar collectors. Some Formica ants cover the tops of their mounds with bits of vegetation, and other ants actually plant grass there. PMA mounds are built in the open or on woody edges, and the tops are kept clear of anything that generates shade. The ants actively clip any plant that tries to grow. The domed shape makes mounds more efficient at catching the sun’s rays at the start and end of the day. PMAs like it warm and humid (100% humidity is just fine with them), and they move their larvae and pupae around to nurseries with the optimal climate. What do all those ants eat? Protein, in the form of insect larvae and pillbugs. Lots of carbs. 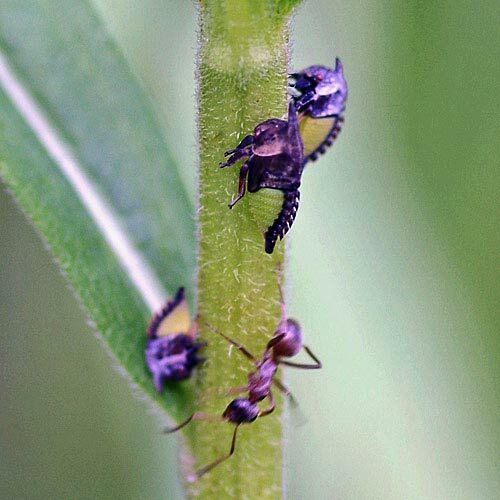 Their main carbohydrate is honeydew, sugar water that they harvest from aphids and treehoppers that they “farm.” In close proximity to one mound at CESA were dense herds of ant-tended aphids on dogwood flower/fruit heads, and smaller bunches of ant-tended treehoppers (and their astounding nymphs) on goldenrod stems. In return for the ants’ protection, the bugs allow ants to “milk” them; stroking the bugs’ abdomen induces them to exude drops of honeydew. Workers find their way to distant food sources by following “trail pheromones” left by other workers. The BugLady saw the protein-rich, spore-bearing head of a horsetail/equisetum plant by one nest entrance and guesses that the ants might feed on that, too. PMAs are very territorial, both with PMAs from different mounds and with other species. They generally out-compete non-PMAs, and they carve up the habitat neatly so that multiple PMA colonies can live side-by-side without using up the food supply. Ant mounds have generated a new art form. For a picture of a plaster cast of what’s under the surface. If you Google “Ant Mound Art” or “Cast aluminum ant tunnels,” or some such, you can see lots of examples. The ants don’t survive the artistic process (animal lovers have protested). Many of the mounds so treated have been fire ant mounds. Here’s a good article about PMAs. Bravo, Yankee BugFan Tom , for putting in a day of ant-education.